Finding a blood transfusion for a pet was much more difficult than Victoria resident Kady Savard ever imagined. 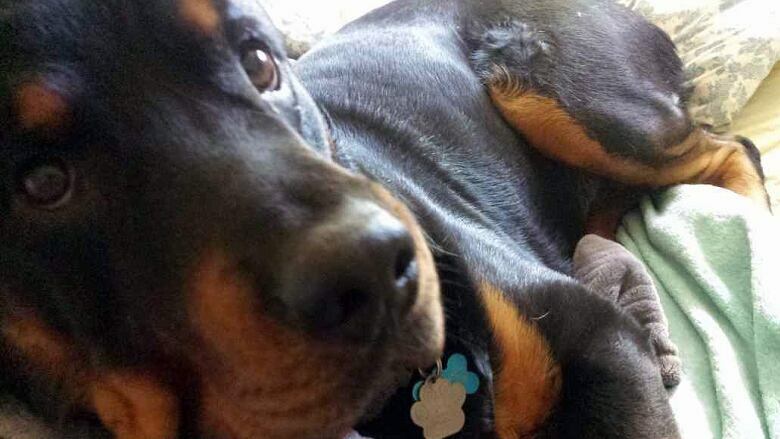 Her friend's dog, Angus, recently fell sick and needed a transfusion — but compatible blood wasn't readily available. "I was surprised," Savard said. "There's a blood services place for people, why not one for animals?" Dog blood is different than human blood and is categorized based on size of the donor. Savard put the call out on social media looking for owners of dogs with compatible blood on Facebook. More than 100 people commented with advice and offers to help. Angus is now stable but Savard's mission wasn't over. She's paired up with a vet at Waves Veterinary Emergency Hospital in Langford, a municipality of Greater Victoria, to run a blood donation drive for dogs. From the list of people who sign up, she hopes to create a registry of pets in the area that can donate for future medical needs. "Blood donation is such a small thing that makes a huge impact," Savard said. Beth Knight, a lab director based in Winnipeg, started a similar dog blood program with the Canadian Animal Blood Bank more than two decades ago. "If you've never heard about [animal blood donations], you're very fortunate in that your pets and no one you know needed blood products," Knight said. Her organization has a registry of what they call "donor owners" — people who have pets who are able to donate blood. Dogs have to be between the ages of one and eight, over 55 pounds, and comfortable with visits to the vet. The Canadian Animal Blood Bank is expanding with branches across the country but hasn't yet reached British Columbia, although they do ship blood to some B.C. cities. "We can certainly help [the registry in Langford] get some direction and the supplies that are needed," Knight offered. 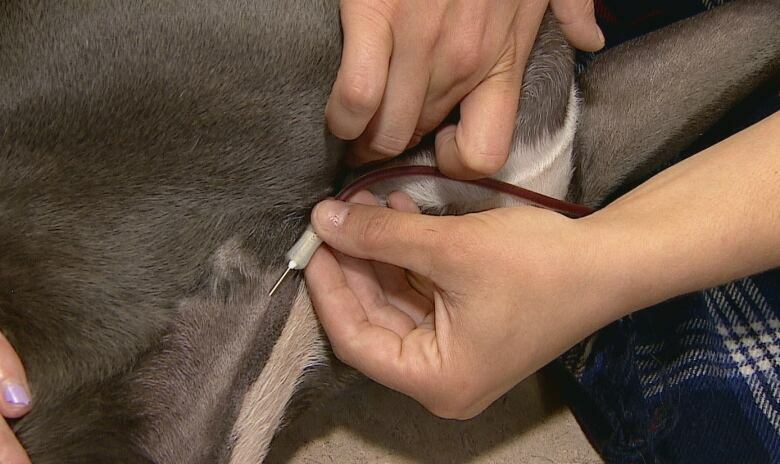 Other groups also co-ordinate animal blood transfusions, including the Central Victoria Veterinary Hospital, but demand for blood tends to far outstrips supply.